Buying a new mobile phone is a big investment and you are likely to keep it for at least one year and probably longer so you need to make sure you buy the right phone for you. Hardware - this is the stuff you can touch, it is hard, like the phone case, screen, the buttons, the battery all the physical stuff in your hand. Software - this is the stuff you cannot touch (hence it's called soft) that makes the phone work. It's the computer codes and programs that tell all the hardware bits how to work together. Operating System - This is the name given to the whole software program that controls how your phone works, how it looks, the sounds it makes, how it connects to the internet. It is really important and you cannot change it. You may well be familiar with the operating system which works your home computer which is likely to be either the microsoft windows based system, Safari based system on Apple products or possibly Chrome based system by Google. If you want to stick with the same system then you will be able to synchronise your phone and home computer so that emails, photo's, documents and your calendar updates appear on both your phone and computer whichever one you choose put them on. This can be really useful and saves a lot of time in not having to duplicate information. 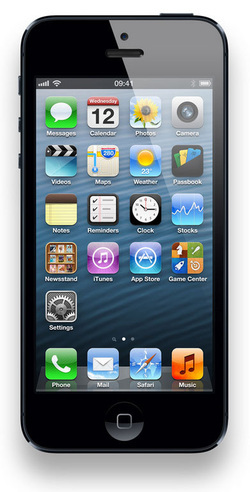 Apple IOS - multi-touch, multi-tasking operating system is what runs the Apple's iPhone, iPad, and iPod Touch. It responds to the user's touch - allowing you to tap on the screen to open a program, pinch your fingers together to minimise or enlarge an image, or swipe your finger across the screen to change pages. It comes with the Safari web browser for internet use, an iPod application for playing music and Apple's Mail for managing your emails. Apple products have a very strong brand following, they tend to be the most expensive but are also well engineered. They do have drawbacks however, they do not support a type of software called Flash which lots of internet sites use to show video and you are locked into the Apple Brand because the operating system only works on Apple products. Apples own brand mapping was also plagued with problems although you now do have the option of installing the superior google maps. Apple are renowned for their strict quality control which guarantees that the apps and hardware will work perfectly together. You can download more than 500,000 applications currently available on the App Store directly to any device running iOS, be it an iPhone or an iPad. These encompass everything from accessing recipes to playing the guitar or working on your documents on the move. Android - owned by Google and powered by a software platform called the Linux kernel, which can be found on a wide range of devices. Android is an open source operating system which means any software developer can develop new programs as they wish and these will work on any unlocked hardware. This has made Android the fastest growing smartphone operating system in the market and is expected to become the dominant platform in a few years. Google has picked quirky names for the various versions of its Android software, the latest version is called Jelly Bean which replaced Ice cream sandwich. This means unlimited access to any anyone who wants to develop apps for the phone and places very little restriction on its licensing, so users benefit from lots of free content. Some of the best features of Android include the ability to customise multiple home screens with useful widgets and apps that give you quicker, easier access to the content and functions you most care about. 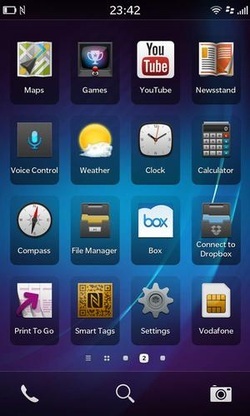 It also has an excellent capacity for multitasking - with the ability to close programs simply swiping them away. The system also supports NFC which stands for 'near field communication' . This is the technology which allows the phone to communicate with other compatible devices around your home, like smart TV's to share video and photo's and allows the phone to be used to make payments from your account by swiping the phone over a special receiver in shops. Google mapping is provided free which is superb with the ability to view in 3D and use satellite images. Last but not least, the Android Market, which is the Android equivalent of the Apple App Store is home to more than 370,000 apps, many of which are completely free. Microsoft own the windows based system which is still the dominant software platform on the worlds desktop computers. 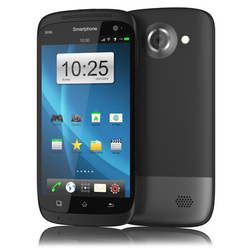 However it has struggled to break into the mobile phone market with a convincing product. All that changed after a partnership with Nokia in 2010 who had also been struggling in the mobile phone market after having dominated it in the early years. They seem to of made a very good partnership with Microsoft developing the now very popular Windows mobile operating platform and Nokia producing high quality slick mobiles with it's Lumia range. Nokia also has it's superb mapping system which users get free and is widely regarded as one of the best GPS navigation systems. Recently the two companies have merged cementing their long term future together. Microsoft released its first version of the Windows platform for mobiles in late 2010, The latest version in Windows 8 which was redesigned and rebuilt from the ground up with a greater emphasis on the user experience. It is recognisable by its tile-based interface - dubbed Metro - which features removable and interchangeable squares sections on the home screen, each with its own purpose and function. You can easily access multiple email accounts, text, photo's and social media. The platform is based on seamless integration into social media and it's tile based system is instantly recognisable by windows PC users. It also has aggregators called 'hubs', that group together all photos from all applications, or all music into one library, meaning your Facebook photos can be found with your camera photos and your documents from different sources grouped together in one, easy to access location. One of the highlights - if you happen to have young children - is Kid's Corner. This is a walled-off area of the OS where you can give your kids access to games, apps and other things without them being able to access all the other areas of your phone like important emails and photos. 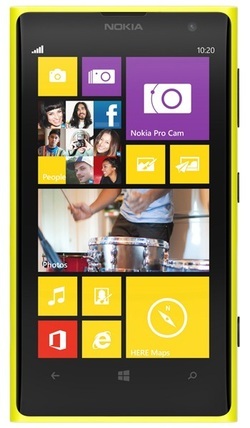 Windows Phone comes with a mobile-optimised version of the Internet Explorer for accessing the web, and Exchange, which supports secure corporate e-mail accounts. Blackberry OS - The latest version of the operating system which runs exclusively on Blackberry phones often highly regarded for business is number 10. Blackberry used to be the natural mobile phone choice for business users but got left behind when other manufacturers developed touch screens and business apps. Recently they have made a comeback with the launch of the Blackberry 10 and a re-vamped operating system. It has a very good swippable screen but navigation is not than intuitive and takes a little getting used too. You are able to zoom in and view a split screen which even includes 3D effect. The messaging system is the best available, it offers super fast text entry with word suggestions popping up as you type without distracting you. Web browsing works equally well and it has a clear and easy management system for all your multimedia such as photos, video etc. 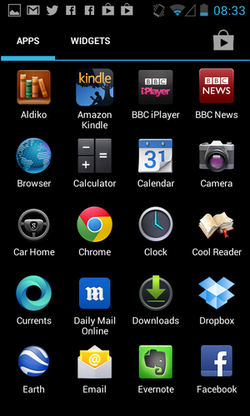 More than 70,000 apps were available for the BlackBerry 10 OS when it launched, many of them high-profile such as Kindle ebook reader, WhatsApp for free messaging and other media download tools to come. Business apps are well represented as expected, while social media must-haves Facebook, Twitter and the more corporate LinkedIn are all pre-installed. Skype is promised soon. It still makes a strong case as the operating system of choice for business users although the lack of apps compared with it's rivals remains its achilles heel.